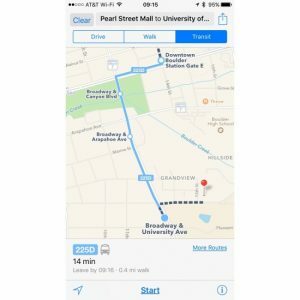 Colorado is finally getting in on the Maps transit directions game because Apple just added Denver and Boulder. That means you can get direction that include busses and light rail, and if either city ever adds subways, those would show up, too. 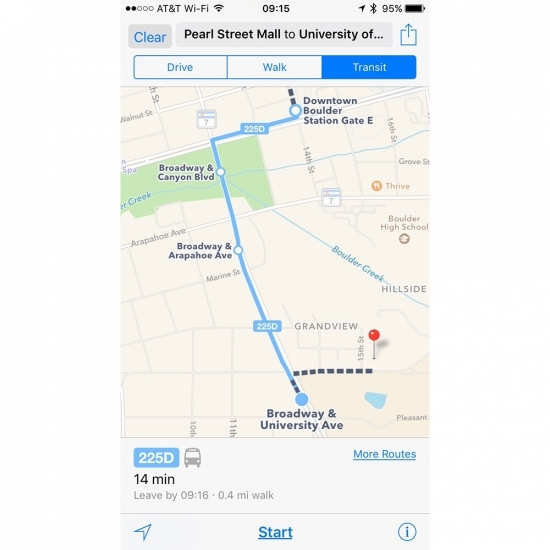 Apple added transit direction to Maps in iOS 9 with a limited number of cities. That number is slowly increasing and includes locations such as New York City, San Francisco, Los Angeles, Chicago, and Boston. More cities are coming, so hopefully yours will show up soon.